It was expected to be a perfunctory state house meeting — three lobbyists and a legislator discussing a proposal to educate Louisiana doctors about the price of drugs they prescribe. The bill seemed like a no-brainer in a country where even decades-old medicines can cost thousands and consumers are urged to make smart choices in buying health care. The legislation simply required pharmaceutical sales reps promoting medicines at doctors’ offices to also reveal a price. No one expected the industry scrum that materialized. About 10 pharma lobbyists flooded the room in Baton Rouge’s art deco state capitol, some of them hired guns — lobbyists who’d never represented drug companies before, remembers Jeff Drozda, an insurance lobbyist at the 2016 meeting. “The message was: We’re going to bring everything at you against these bills,” he said. They did. Pharmaceutical Research and Manufacturers of America, the powerful trade group known as PhRMA, donated directly to more lawmakers in Louisiana than in any other state in 2016, a new IRS filing shows. When discussion of the measure reached its peak last year, the industry hired a lobbyist for every two legislators. PhRMA spent thousands entertaining lawmakers at Baton Rouge venues such as Mike Anderson’s Seafood, specializing in shrimp-and-crab gumbo, and the Mestizo Restaurant, home of the Daredevil Margarita, lobbying records show. “I’ve been in the legislature 10 years. I’ve never in my life seen that kind of effort,” said Kirk Talbot, a Republican who sponsored the bill in the Louisiana House. “The message was: We’re going to bring everything at you against these bills." Meanwhile, activists who backed a 2017 law enabling Maryland officials to challenge “unconscionable” price increases for generic drugs now advocate price regulation for all expensive pharmaceuticals. Policymakers in New Mexico, Massachusetts and Arizona are talking about limiting drug coverage or negotiating drug prices under Medicaid. In Washington, D.C., PhRMA is widely credited with stalling federal drug-price measures for years, with lobbying, advertising and political contributions. Who Decides The Cost of Prescription Drugs? Now states are getting a dose of the same medicine. PhRMA set the stage in 2016 by establishing a group that ultimately spent $110 million to defeat a high-profile California ballot initiative requiring state agencies to pay no more for drugs than does the federal Department of Veterans Affairs. A PhRMA-linked group spent more than $50 million to defeat a similar ballot measure last year in Ohio. Traditionally well-represented in state houses, PhRMA wrote checks to hundreds of legislative candidates and political action committees in dozens of states in 2016, newly available IRS filings show. So did many of its member companies, according to new data published by the Center for Political Accountability, a nonprofit that works to shed light on corporate political spending. Merck, maker of a hepatitis C drug called Zepatier that costs $54,600 according to Truven Health Analytics, gave $19 million to PhRMA in 2016. It also gave about $500,000 to candidates and political committees in some two dozen states, sometimes in checks as small as $100, according to the CPA data compiled from voluntary disclosures on corporate websites. Amgen, maker of leukemia drug Blincyto, which costs $173,000 for an average treatment, donated to more than 100 state house candidates in about a dozen states for the 2016 elections. Johnson & Johnson, Pfizer, Bristol-Myers Squibb and Allergan also directly or indirectly supported state candidates in 2016, CPA data show. “I’ve been in the legislature 10 years. I’ve never in my life seen that kind of effort." Pharma companies “definitely have not seen that kind of activity aimed at them at the state level before and have raised their presence to address that,” said Leanne Gassaway, top state lobbyist for America’s Health Insurance Plans, a major insurance trade group. Few states got as much pharma attention the past two years as Louisiana, though the money spent there fell short of the tens of millions invested in swaying referenda in California and Ohio. It’s cheaper to influence scores of lawmakers than millions of voters. Drug prices are “something that’s completely out of control,” Talbot said, adding that he gets constituent requests to rein in prescription medicine prices. Neither Talbot, chairman of the House insurance committee, nor many others in the conservative state are moving to regulate drug prices. But he and other lawmakers saw promise in an idea from Blue Cross and Blue Shield of Louisiana, a big insurer whose premiums have been driven up partly by rising drug expenses. The proposal, which got little news coverage even in Louisiana, would have required sales reps promoting their latest, greatest medicines to give doctors the wholesale prices at the same time. Physicians, who are largely unaware of prescription costs, might think twice about ordering $500 worth of brand-name pills when a $30 generic could deliver the same benefit, the thinking went. The measure died in committee after the pharma lobby staged its flash mob at the 2016 meeting. When the idea came up again last spring, this time with backing from Talbot and Sen. Fred Mills, Republican chairman of the Senate health committee, the industry shifted into high gear. Mills got “a tremendous amount of calls” on his cellphone from pharma lobbyists as well as emails and texts almost immediately after his bill landed on a legislative website, he recalled. First in line was Pete Martinez, PhRMA’s top Louisiana operative. No fewer than 84 lobbyists representing pill companies blanketed Baton Rouge at the height of the legislative session last year, state records show — the most in at least nine years. In 2016, PhRMA gave directly to about 80 Louisiana state politicians, more than those in any other state, the IRS filing shows. PhRMA and individual drug companies have made more than $600,000 in contributions to Louisiana state and local political races in the past three years, according to campaign finance files. Martinez did not respond to requests for an interview. At hearings in Louisiana, PhRMA argued that informing doctors of wholesale drug prices is irrelevant to patients. What matters is consumers’ out-of-pocket payment, not the rest of the cost that’s often picked up by insurance, they said. “We are committed to engaging with lawmakers, patients and others to find solutions that actually help patients,” a PhRMA spokesman said in a statement for this article. 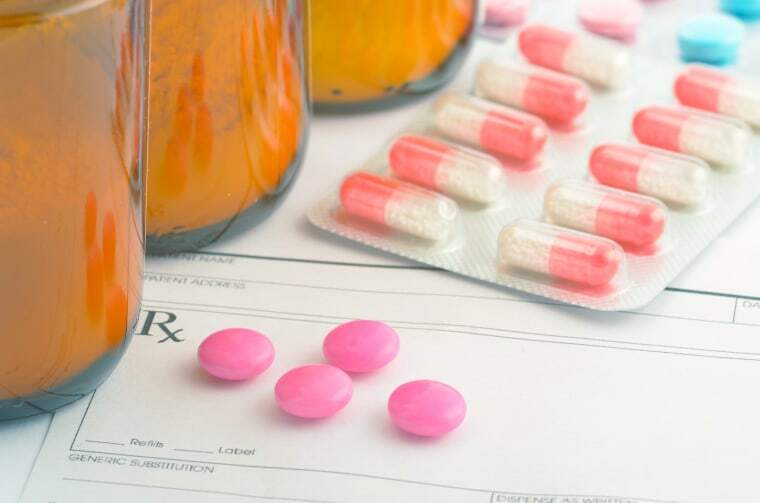 Proponents countered that rising total drug costs are an increasingly painful burden on taxpayers, employers, workers and everybody else who pays them indirectly through insurance plans and government programs. PhRMA’s opposition had an effect. Instead of making sales people disclose prices, the legislation that lawmakers eventually passed and that Gov. John Bel Edwards signed in June requires the Louisiana Board of Pharmacy to host a website listing the information. Rather than ordering drug reps to tell doctors about the site, the act says they “may” give prescribers the internet address if they choose. The law “is quite watered down and basically meaningless,” said Ameet Sarpatwari, an epidemiologist and lawyer at Harvard Medical School who follows pharma laws. Talbot says he may have lost this battle but will continue the war. This story was contributed by Kaiser Health News, an editorially independent program of the Henry J. Kaiser Family Foundation and a nonprofit, nonpartisan health policy research and communication organization not affiliated with Kaiser Permanente.